Guest Blogger Follow A Guest blogger is a special blogger who wouldn’t normally post on the blog but provides a valid and interesting insight into a certain aspect of a certain field. These are their stories! In a change from the usual blog posts, today we have a guest blog post from Jake Spicer from Engineers Without Borders, an Australian-based not-for-profit organisation creating systemic change through humanitarian engineering. Many thanks to Jake Spicer and everyone at Engineers Without Borders for taking the time to share why HTML5 Conversions help to benefit humanity. 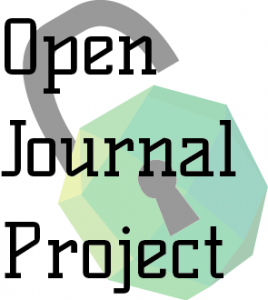 The Open Journal Project is an initiative from Engineers Without Borders, an Australian-based not-for-profit organisation creating systemic change through humanitarian engineering. Our specific goal with this venture is to reduce and remove access barriers to scientific journals. There are six barriers surrounding universal access to scientific information on the web, identified by Peter Suber in his landmark book Open Access. The first two are typically associated with the open access movement: price and permission (or Gratis and Libre Open Access [OA]). The other four access barriers are filtering and censorship; language; disability, and connectivity. Thanks to the many scientists and academics currently working to break down these barriers in recent years, open access has seen large improvements in pricing barriers, and use of Creative Commons licenses has helped to reduce permission barriers. But there is still a way to go, and the folk involved in the Open Journal Project are doing their darndest to help. Price: all information is freely downloadable. Permissions: the CC-BY license is used, allowing anyone to use the information on the site as long as it is attribute to the author and journal. Censorship: our journal is available on P2P networks such as The Pirate Bay. While it is unlikely that a government would block the JHE, the Journal of Human Sexuality is an example of a journal that might face such problems. Language: we have common language translations, as well as translations into several languages for each paper, done by our volunteers across the globe. Disability: through this project, we are helping to make the Open Journal Systems (used by over 11,000 OA journals worldwide) become WCAG 2.0 compliant. The journal is also printed in braille. Connectivity: we are working on ways to help Open Access journals convert their PDF documents to HTML. This greatly reduces the download times for articles. JPedal’s software and API’s can be used for this purpose. One of the biggest focuses of the Open Journal Project at the moment concerns that last point: connectivity and PDF files. When PDF was introduced by Adobe in 1993 it was considered a blessing: it provided consistently high quality documents that could be printed cheaply, and it allowed bookmarks and hyperlinks which have become integrated with many scientists’ working processes. Since then it has become the standard for scientific documents. Some people have large personal libraries comprising thousands of PDF files located on their server. However PDF has its problems – including that of connectivity in relation to download speeds. It can be easy to think that download speeds are not a current issue anymore, but this is not the case. Millions of people don’t have access to scientific information, simply because they don’t have the internet speeds that so many of us take for granted. For example, there is a paper in our Journal of Humanitarian Engineering titled “Sedimentation tank design for rural communities in the hilly regions of Nepal”. For most of us, this 10MB file won’t take too long to download – minutes,if not seconds. But the content of this paper is aimed at the people of Nepal, who happen to have one of the lowest connection speeds in the world… Considering that scientific papers can be much larger than this, and that it would be rare for a single paper to satisfy a Nepalese engineer’s needs,it could take her months to download all her resources. You can see the problem. For this purpose, HTML5 is a far superior format primarily because it allows for significantly faster download times, which is why the Open Journal Project is pooling its resources to make this possible. And that’s just one of many issues we are tackling in the name of the open access movement. For more guest blog articles be sure to check out PDF and PDF2HTML5: The Best of Both Worlds for Teachers and JPedal used as a Smart Software in Retina. Is there is something you’d like to blog about connected to Java, HTML5, SVG, JavaFX or PDF files? Any tips, tricks or recommendations? contact us and we would be happy to feature you in our new ‘Guest Blogger’ series.